As further illustration of how gas use by utilities has saved natural gas' keyster (and taken a bite out of coal), natural gas represented 33.3% of the fuel for electric generation in August 2012. 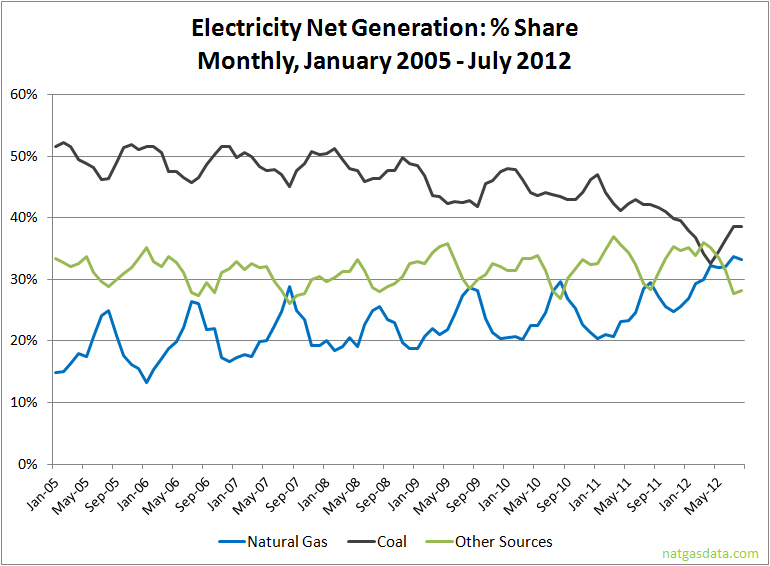 That figure was down 0.4 percentage points from July 2012 but it was up 3.8 points from August 2011. 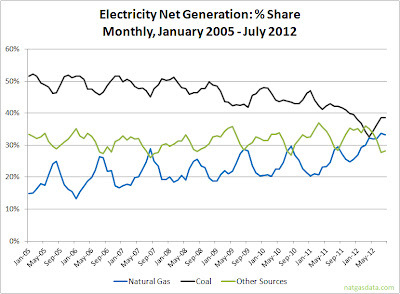 By comparison, coal basically held its market share from July 2012, but it was down 3.6 percentage points compared to August 2011. 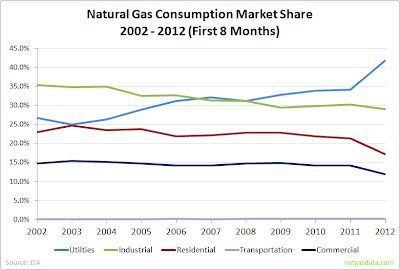 Among the end users for natural gas, utilities have surged in the past decade, not just the past year. 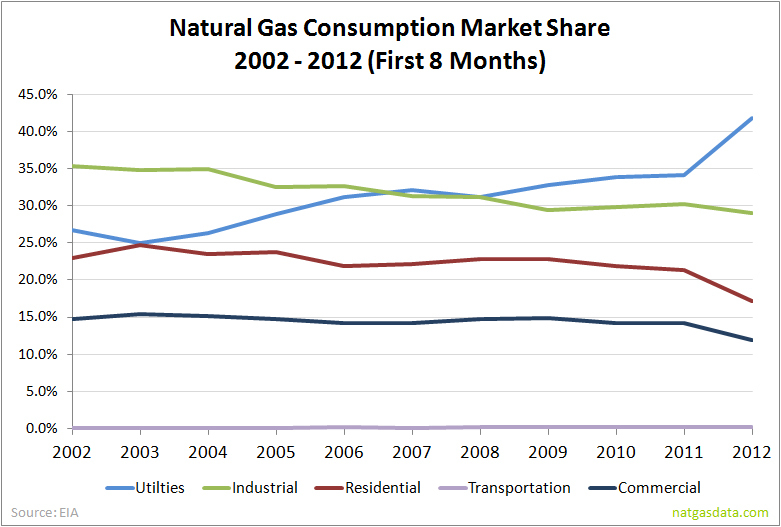 Utilities currently represent a 41.8% market share among end users. 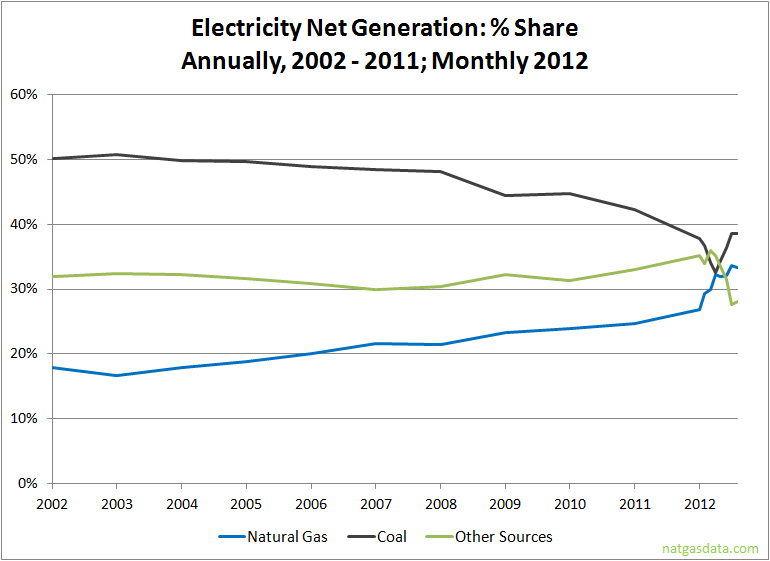 That's up from 26.7% in 2002 and 34.1% in 2011.